Using the ckeckboxlist to display the records. 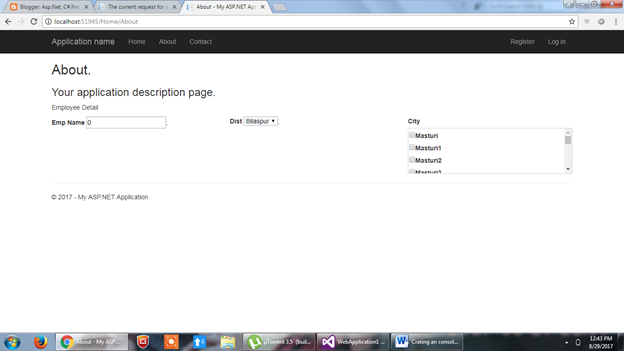 It is having the items in the form of list box and having the checkbox in list. 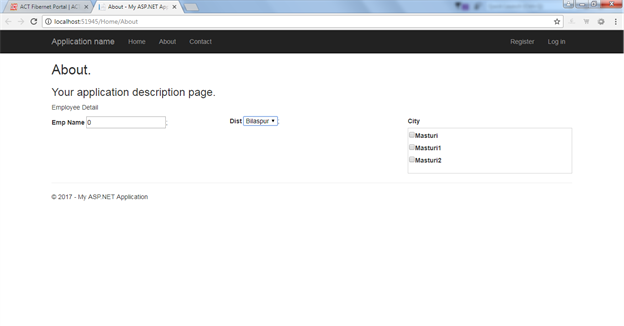 Its like cascaded checkboxlist, mvc checkboxlist multiselectlist. 1. Take the reference of checkboxlist from nugget package as like below. 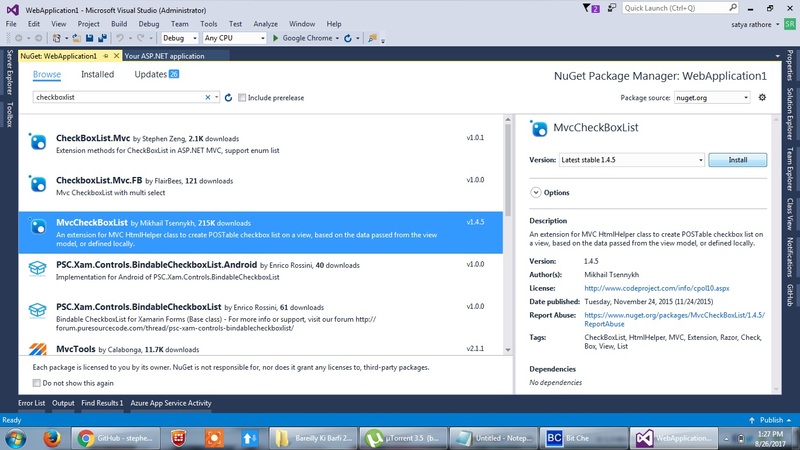 Search as MVCCheckboxlist as given below and install this nugget package. 2. Create the classes which will help to bind it to the dropdown and checkboxlist. 3. Create the collection of district and City where District will bind to the dropdown and City will bind to the list. 5. Defining the controller for View and pass the model to bind the dropdown and checkboxlistfor. 6. Binding the checkboxlistfor based selection of dropdown list it will behave cascaded dropdown with list. city = city + "<input id='SelectedCityList" + i + "' name='SelectedCityList' type='checkbox' value='" + data[i].CityID + "'><label for='SelectedCityList0'>" + data[i].CityName + " </label><br />"
Now while selecting Bilaspur you can see it will bind only three records.